The problems and medical conditions that are approved for medical marijuana vary from state to state, but one can pick up on the vagueness of some these maladies (how do you prove or disprove migraines, pain or nausea?). Besides the subjectivity of a number of these problems, there is an even more pressing concern: clinical research has not be conducted where marijuana was used to treat these illnesses. The doctors are making these recommendations with little to no research about these issues. One doctor I spoke to recently described the practice of prescribing marijuana as perhaps being a bit medieval but definitely pre-enlightenment. One of the key defenses for doctors is that they are not prescribing marijuana but rather recommending it. That obviously has been set up this way to limit their liability (key word is limit, not eliminate). Is a recommendation a form of medical care or treatment? If it is not, then why is it called medical marijuana? If it is a form of medical care or treatment, then it becomes much clearer that the doctor has some responsibility here. When a medical marijuana user has an accident or experiences some psychological problems from their marijuana use (depression, anxiety, panic attacks, lack of concentration), a strong trial lawyer may make a case against the doctor (and/or the marijuana dispenser) for liability. It will happen. The question is where and when. Earth people is a colloquial term that Alcoholics Anonymous (AA) members sometimes use to describe non-alcoholics. It is neither a compliment nor an insult – just a way of separating the kind of person who would drink despite horrific consequences or take ludicrous risks from a person…who wouldn’t. Each semester, I teach students about how I diagnose someone with a substance disorder, how alcohol (and drugs) affect the brain, services available on campus, and I bring in a student who is in recovery to tell his or her story. The final part of the class that I am responsible for is that I send all of them to an open 12-step meeting and have them write about it. In their papers, they have to write a paragraph about what they expect the meeting to be like. After they attend the meeting, they have to tell me where they went, the demographics of the meeting, a gist of what was shared (while keeping it completely anonymous) and then their reactions to the entire experience. The 15 students this spring probably did the best job of any class with this assignment, and one student wrote the greatest 12-step reaction paper that I have ever read. 1) I could just see everyone staring at the “new girl” coming to get help. The uncertainty of what it was going to be like showing my face for the first time at an AA meeting was causing me extreme stress and anxiety. I did not want to go there and have people think I was an alcoholic, or have someone ask me to tell my story and then I would have to awkwardly answer, “I’m here for a class.” As I continued to wonder and worry, I expected everyone to be quiet or sad. 3) I thought it would look like people in a small room, sitting in a circle, telling each other about their feelings. I also assumed it was going to be a lot of white people, based upon what I’ve seen in the media. 4) In class, we had spoken about how prior alcoholics sometimes turn to caffeine or cigarettes to ease their cravings. Therefore, I was expecting to see some people smoking outside of the building. I was also expecting coffee to be provided at the meeting. 5) I figured it would be a group of people sitting in a circle half talking about the struggles or temptations they’ve had to stay sober, and the other half not wanting to say anything. I imagined AA to be therapy or catharsis for those involved, but lacking in positivity. 6) For some reason, I picture gray folding chairs in a circle and people open to anything. Everyone is willing to share and not afraid to cry. I expect to see only a handful of people, but amongst those that are at the meeting there is a leader – someone who organizes and was previously certified to host these meetings. 7) I was amazed at the amount of meetings available to me within a five-mile radius. 8) Going into this meeting I feel especially anxious to see a large population of college students because I think it will make me feel sad and upset that such young kids are dealing with addiction; although I really feel sad thinking about any person of any age having addiction. 1) It made me upset when a member mentioned that he would constantly drive drunk. I was shocked to learn that many members attend daily meetings, regardless of being sober more than five years. Lastly, it was interesting to hear how God and prayer are both a large focus in these meetings. Since I come from a religious family, I enjoyed hearing about God’s presence in the members when they spoke. 2) AA continues to exhibit the patriarchal monotheistic society of its origins. AA is not as open as it would have you believe. The literature may profess a higher power of your understanding, but it continues to address that high power as God and Him. 3) …I’m a complete stranger and she seemed so happy to see a new face here and welcomed me. 4) …after the meeting, almost everyone went outside for a smoke, which kind of threw off the whole vibe I was getting where people come here to fix problems and not just to replace them with something else. 5) The family-feel and the work those involved put in just gave off a really positive vibe. It put a new perspective on alcoholism for me and took away the stereotype I had in mind of what meetings are like. 6) One thing that stood out to me about the speakers was that they were really humble. 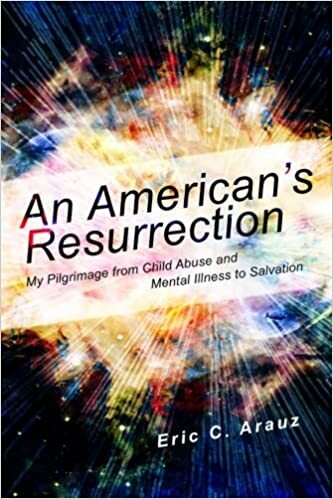 They did not credit their recovery solely to their own strength and abilities, but made sure to recognize the major role that their loved ones, AA community, sponsors and/or higher power had in their journey. 7) I was really impressed with one guy who had been sober for 20 years. I thought that was amazing because I cannot imagine the amount of dedication that this took for him. Some people’s stories made me tear up a bit and I have a new appreciation for people going through this struggle. The people at these meetings are like one big family. It was very welcoming and I felt so comfortable the entire time. 8) I was surprised to find out what a big role God plays in AA, and at first I was a little taken aback by this factor, but I came to better understand the concept of “God as we understand him,” especially when one of the speakers shared that he does not believe in God. He was able to make the program work for him though. Besides that, I think the biggest impact this meeting left on me was seeing that anyone can be an alcoholic. 9) It was disappointing to see the speaker as the only Latino besides myself. 10) It made me realize that I should learn to practice empathy. 11) It was surprisingly difficult to find the meeting. 12) I realized that although they have a problem I do not have, I am more similar to them than I could ever imagine. 13) I could tell these people really cared for each other and wanted the best for each other. 14) One small thing happened on my way to the meeting. I got lost and met a girl who was also trying to find it. Her name was XXXX, she was an alcoholic and this was her first time coming to this meeting. I helped her find the building and we walked in together. This interaction immediately made me think about all the times I have been new somewhere and hadn’t been so graciously received and welcomed. Overall, and maybe most importantly, after leaving the meeting I can truly stand behind the RU Sure message for the first time and feel authentic doing it. When I came into the class, I was afraid that I would look like a hypocrite campaigning for safe drinking when I went out and drank, but I realized that I do drink safely and when I drink unsafely I really hate it and end up regretting it. These experiences make me feel ready to be an active part of RU Sure, eager to help people and well-equipped to educate students. On Friday March 4, 2016, I visited NJ’s first and only recovery high school. It is called the Ray Lesniak Recovery High School (they have a Facebook page too). I wrote an article about the history of the recovery high school movement in NJ back in August of 2014, and was thrilled when they had their official opening that November. I was invited by Morgan Thompson, a MSW student at Rutgers who is also a member of Young People in Recovery (YPR) and a NCADD-NJ trained advocate. She works there as a recovery mentor – she is with the students for much of the day and helps organize the speakers who come in each Friday afternoon. The school is located on the Kean College campus and they have their own building on the west end. There is a library, computer room, a number of smaller offices and a huge classroom where the students take their online classes. It is decorated nicely and has the feel of a small school where everyone knows and cares about each other. I spoke with the students for about an hour. They told me where they were from, how they get to school each day, and how some of them didn’t want to be there at first (but now they all love it). They spoke glowingly of Morgan and the other staff members and all plan on going to college (I pushed Rutgers hard). The kids were so sweet, grateful and bursting with energy and hope. If you are a professional in the field of prevention, treatment or recovery support services, I urge you to visit. Ditto if you are an advocate. Every student assistant counselor (SAC) and guidance counselor in the state needs to be aware of it – if you are a parent or educator, make sure your local school is aware of the Ray Lesniak Recovery High School in Union County. Students in recovery from anywhere in the state of NJ can go to the school, and they will receive a strong education and have a far better chance at staying sober than if they stayed in their current high school (I so wanted to write the word drug-infested, but I thought the better of it). We need to get the word out. Governor Christie has not only failed in visiting (or even talking about) the recovery high school, but last summer he rejected a bill that would allow the creation of other recovery high schools in NJ. We must succeed where the Governor has not even dared to try – get the word out. Please help. This amazing school should be bursting with students. Do you think that marijuana should be advertised on television? Do you think that marijuana should be advertised on billboards? Do you think that marijuana should be advertised in magazines or comics? Are you ok with a cartoon character selling marijuana? 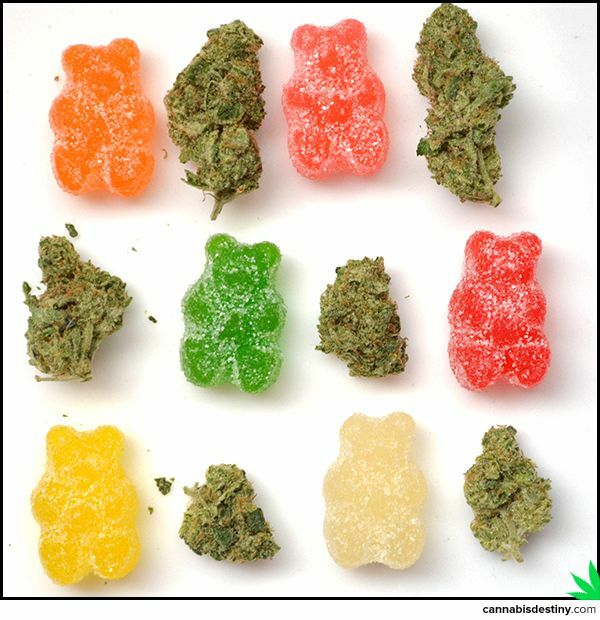 Should marijuana gummy bears be sold at your local Quick Check, Wawa or 7-11? What are your thoughts about marijuana vending machines? Should they be allowed? If you like marijuana vending machines, how close should they be allowed to high schools? What about colleges? Should bus drivers, taxi drivers and uber drivers be allowed to smoke marijuana? If not on the job, how long before they drive should they be allowed to smoke? Should companies that grow, process, sell or advertise marijuana be exempt from lawsuits from people who use, misuse or abuse marijuana? These are all outcomes that are not only possibly, but probable in a United States that legalizes marijuana. Before you decide to be pro-legalization, think these questions through. If you want to learn more about legalization and marijuana policy, they should check out Smart Approaches to Marijuana and any article that features Kevin Sabet.